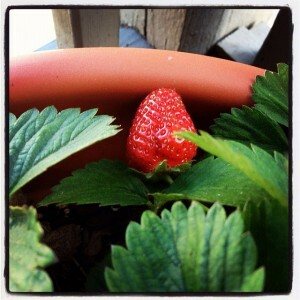 Strawberry: Who doesn’t love a ripe, juicy strawberry? They’re not just incredibly delicious (and nutritious)—they’re pretty darn easy to grow in containers, too. They’ll do well in hanging baskets as well as grounded container garden planter. Give them lots of great sun and enjoy the delicious flavors. Blueberries: Another berry that does well in containers is the blueberry. Give them a good, acidic soil (and a few years—it can take about 3 to produce berries) and they’ll thrive, giving you a gorgeous plant year round with fragrant flowers in spring and bright, fiery foliage in the fall. Figs: One of the most incredible tasting fruits on earth, the mighty fig actually likes the constriction of a container. They like the heat and sun—and if growing from seed it will take a while before they fruit, but quite worth the wait! Tomato: Forgot it was a fruit? Yes, it’s probably a good idea not to add it to your fruit salad, but the tomato is indeed a delicious fruit. 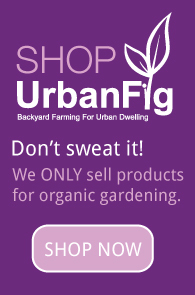 And when you grow your own, they’re so addictively yummy that you just might gobble them up like a peach or a plum. They do well in containers, like a good bit of sun, and unlike some other fruits, can produce within weeks of planting. Pomegranates: These fruits are rich in history, valued for their delicious flavor and many health benefits. While nothing beats the shade of a full-grown pomegranate tree bursting with fruity goodness, you can also grow them fairly easily in a container. Dwarf pomegranate trees only reach about 5 feet in height while still producing yummy fruits. Enjoy! Please check our website for specific guidelines for the vegetables listed. Let us know if you need more information. Happy Gardening!